Rivers Hoopers Basketball Club of Port Harcourt has commenced preparations for the FIBA Africa Zone 3 Qualifiers taking place between December 3-8 in Cotonou, Benin Republic. This Follows their victory against Police Baton in the Nigeria Basketball Federation NBBF abridged league held in Port Harcourt last week, the KingsMen will now turn their attention to Continental engagements. 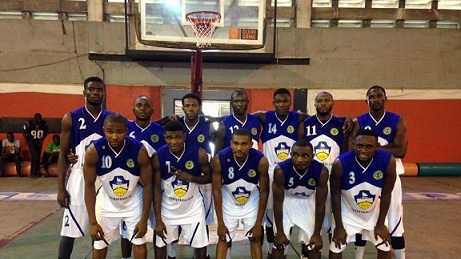 Rivers Hoopers last appearance on the Continent was in 2011 as League champions in Morocco. Rivers Hoopers head coach, Ogoh Odaudu who led the team to two straight Continental outings says it feels great returning to the Continent. He also said that his team is looking forward to putting up a good show in Cotonou. 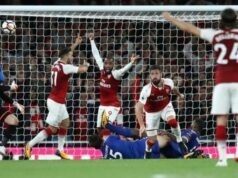 “It is always a great feeling going to play on the continent not just because you are going to travel out but because you are going to meet teams who are from different countries and who play against teams who have a different style of play. Nigeria’s representatives, Hoopers and Civil Defenders are expected to face opposition from Clubs in Zone 3 which comprises of 8 National Federations from Nigeria, Niger, Ghana, Liberia, Benin, Cote d’Ivoire, and Togo. Only two teams will qualify for the new Afro League competition designed by FIBA Africa scheduled to commence in January 2019. The NBBF President Engineer Musa Kida however has tasked Nigeria’s continental representatives to put up a good show at the FIBA Africa zone 3 level.